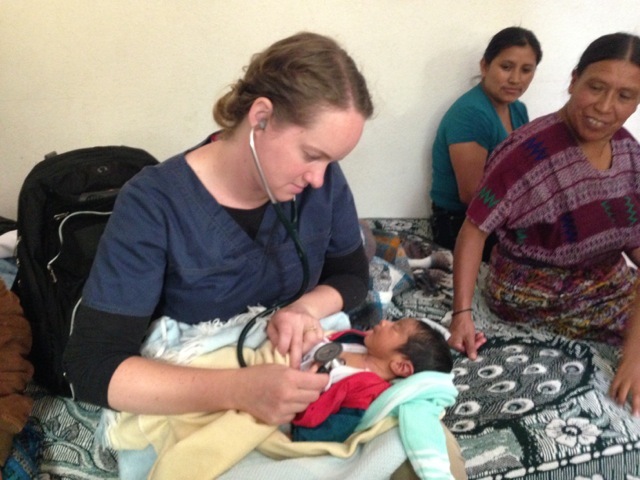 Christine Platt cares for Guatemalan baby in her recent internship. Christine Platt, a BYU College of Nursing graduate student, examined a little Guatemalan boy in a make-shift examination room. BYU College of Nursing preceptor Susan Chasson consulted with Platt, and the two decided the boy needed an immediate surgery in Guatemala City. After explaining to the boy’s mother the seriousness of the illness, Platt and Chasson discovered the mother had no money for travel. She would need a week or two to save enough to make the trip. Platt, Chasson and the rest of their medical staff and support team pooled the equivalent of $20 from their own pockets to send the mother and her son to Guatemala City. This was only one of Platt’s many experiences while in Guatemala for 10 days with a group called Humanitize Expeditions. 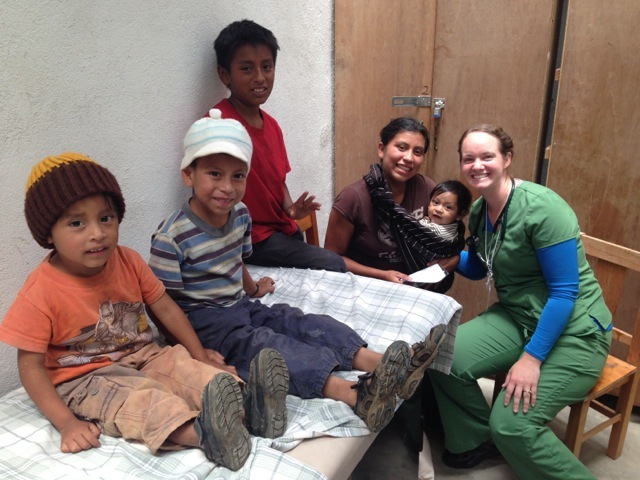 Platt went to Guatemala as part of her FNP clinical internship experience and for humanitarian efforts. The lack of resources forced her and her team to be thrifty. Exam rooms were cinder block walls and bed linens. Platt used an old school desk as a chair while examining. The sight of such need overwhelmed and inspired her. “They would line up for hours just waiting to receive help. I wish I could have done more,” Platt said. Platt had the opportunity to help train 11 midwives and treat/learn about different dermatological cases. “Luckily, I had purchased a new dermatology book that I had brought with me for reference and learning. I took pictures of lesions and rashes that I wanted to bring back and study more about,” she said. Visiting a developing country has made Platt appreciate her current situation. Platt has since returned and will take her FNP Board Certification Exam on July 10th. This entry was posted in College of Nursing News and tagged BYU College of Nursing, BYU CON, Guatemala, Poverty on July 8, 2014 by BYU Nursing.